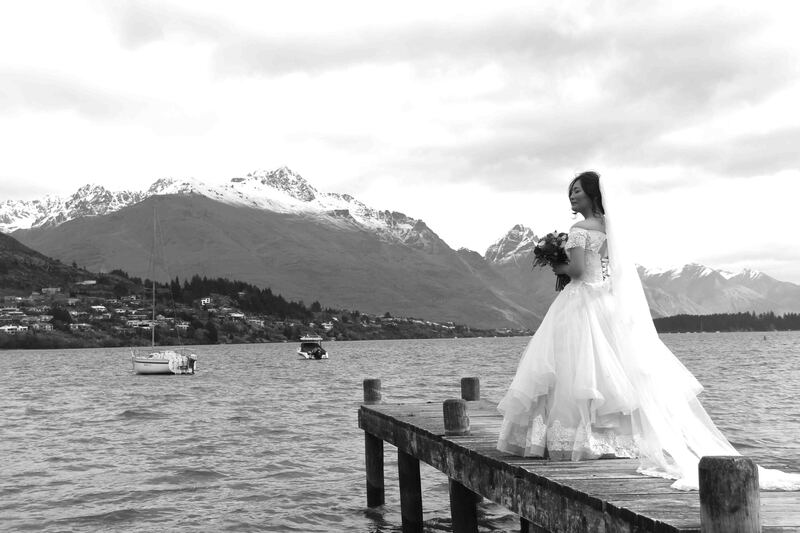 A Queenstown lake side wedding and the famous heli-weddings are always magical and beautiful. 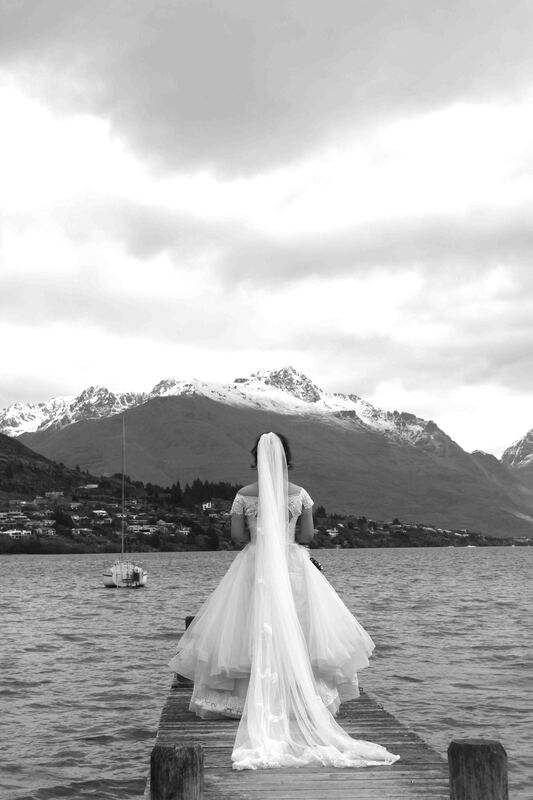 Few things in life are as spectacular as Lake Wakatipu in Queenstown, New Zealand. 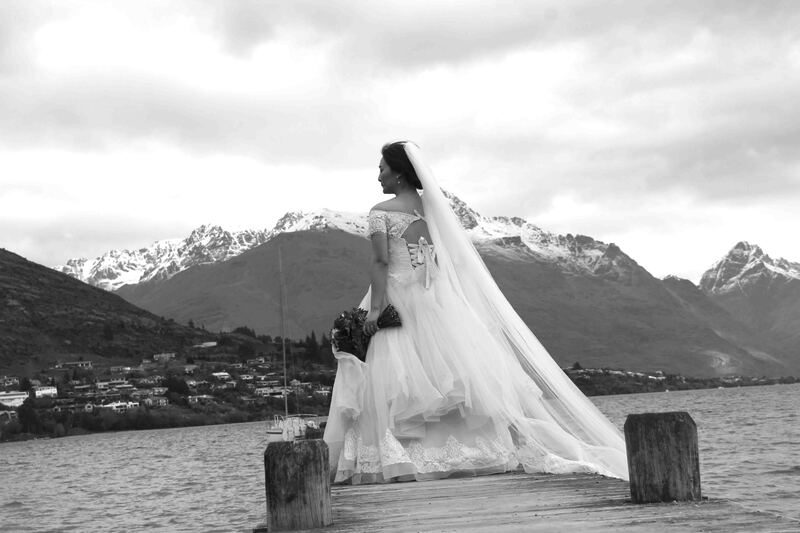 Getting married in Queenstown is one of lifes rare treats that is only an option for a select few. 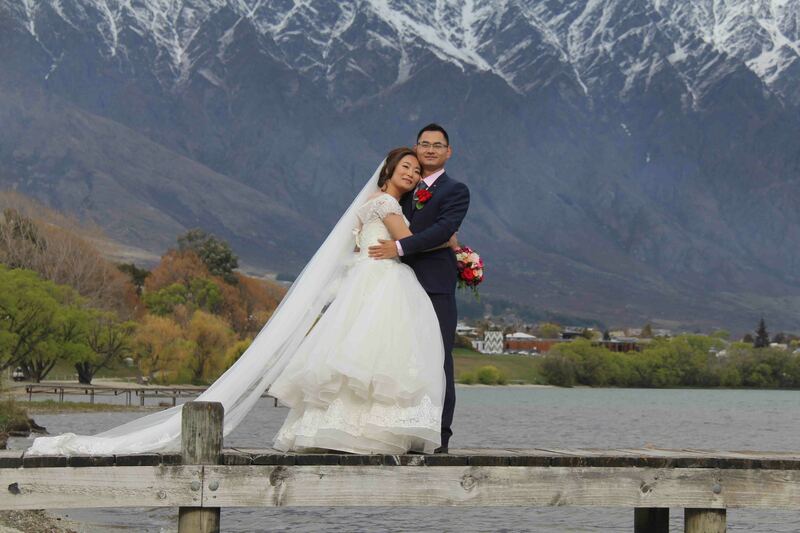 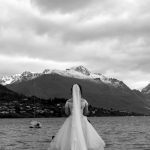 Whilst the beauty of the area makes for fantastic photo opportunities, there are also many other reasons to choose Queenstown for your wedding destination. 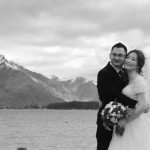 Read on and see why. Heli weddings, lake weddings or vineyard weddings are all magical and all have their benefits. 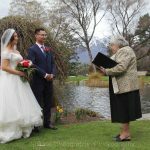 If you are lucky enough to elope or have a small guest list then definitely enquire with us about heli weddings options or a small lake side wedding. 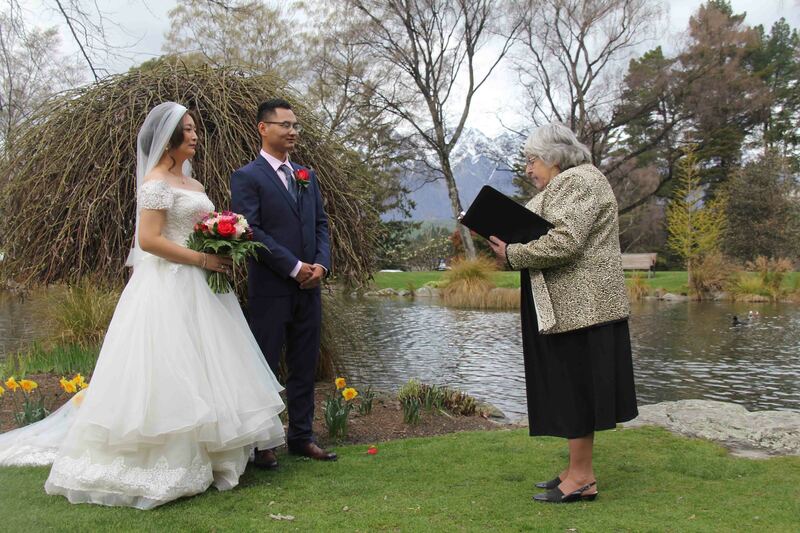 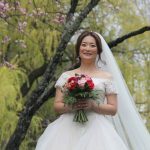 If you have a guest list that isn’t practical for flying large amounts people to the mountain, then the second best option is to have a lovely little lake side wedding. After the ceremony fly to the mountains for amazing photography. 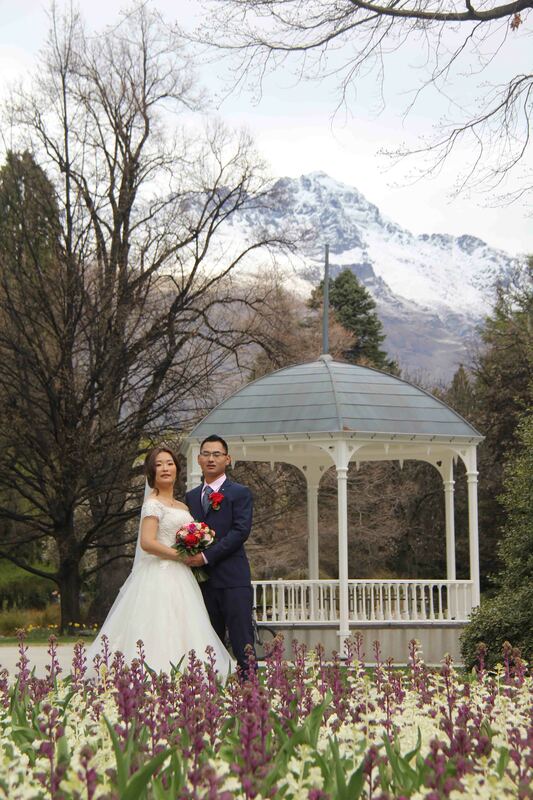 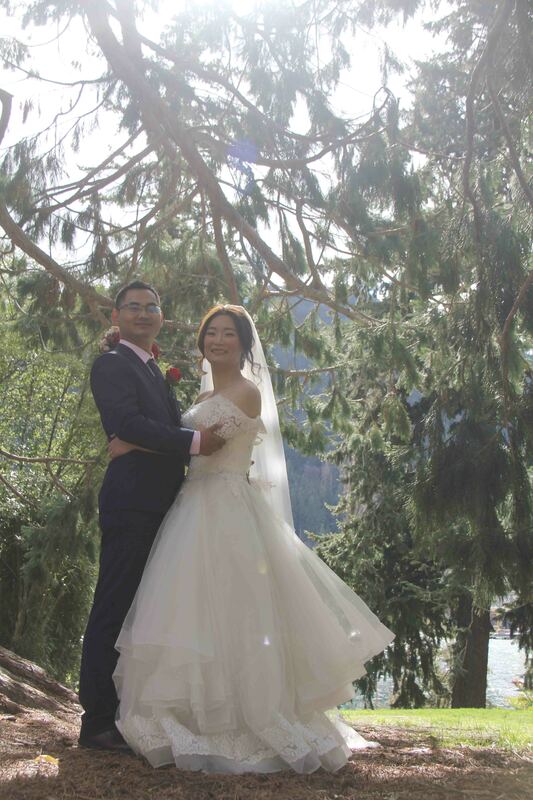 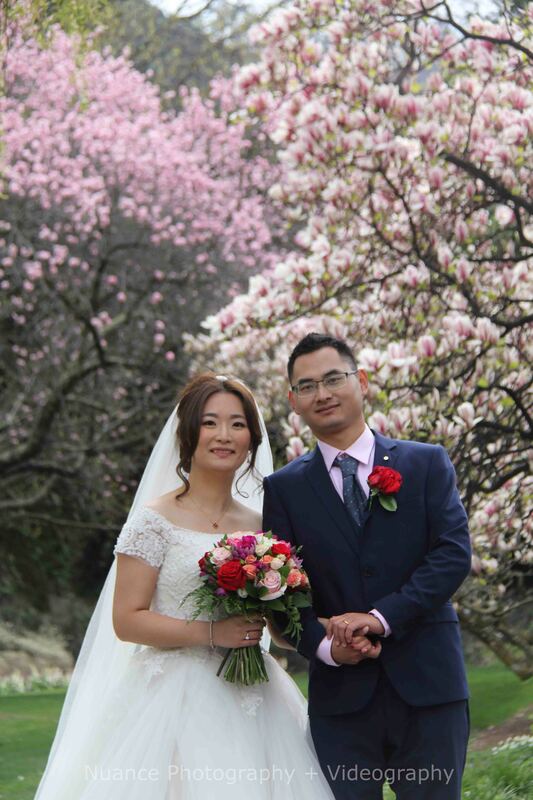 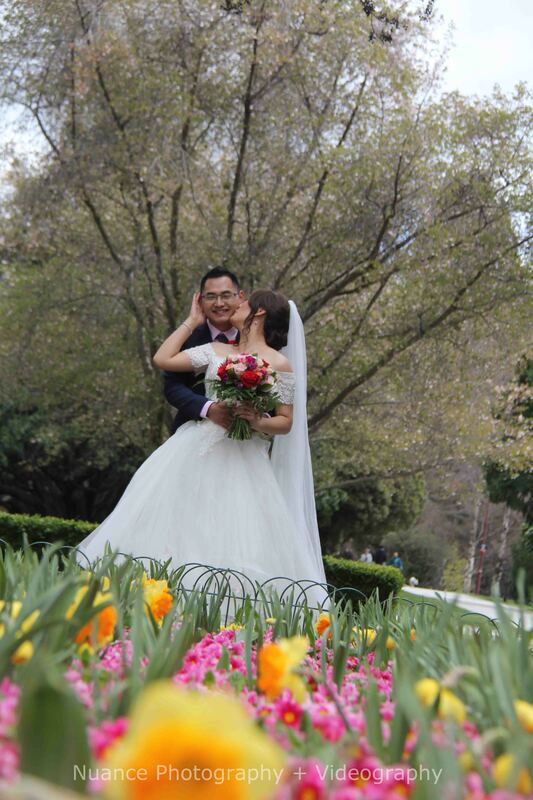 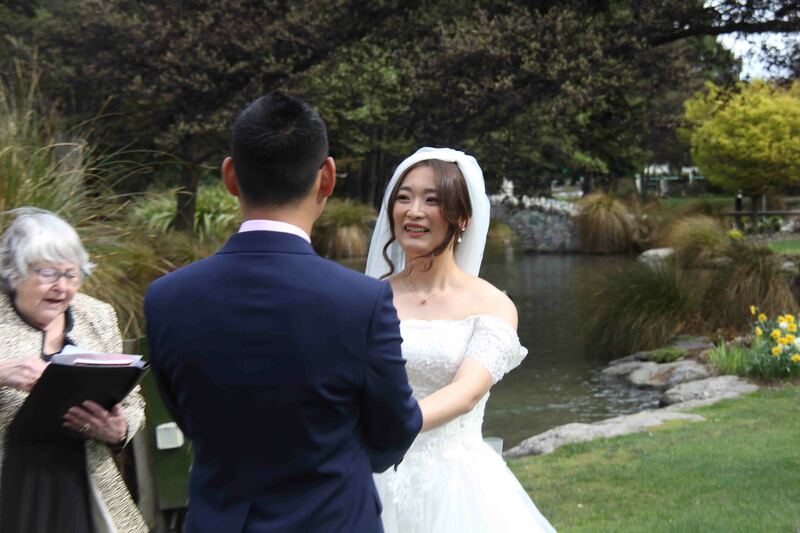 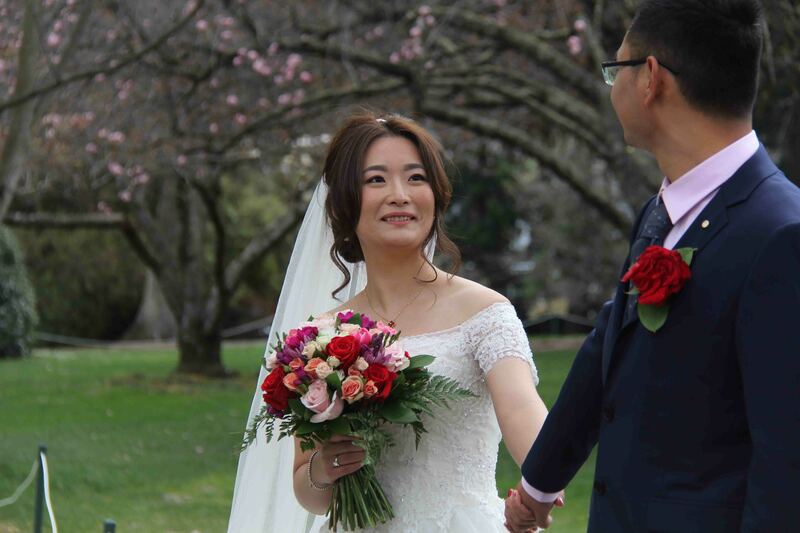 Our lovely couple all the way from China, Daisy and Josh, chose the Queenstown gardens to exchange vows with a few select areas for photos shortly after. 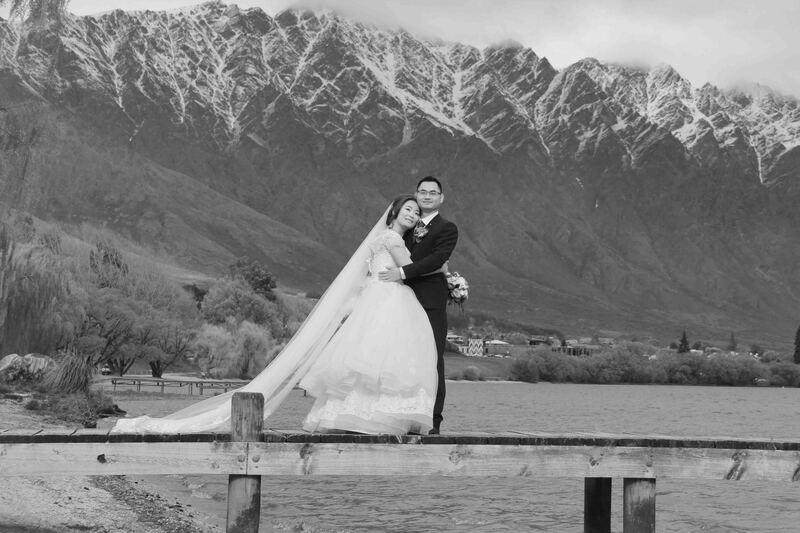 Such an amazing couple, we wish them all the best. Hope you enjoyed the South Island of New Zealand. 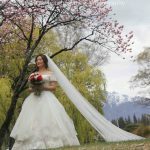 For more videos and ideas see more. 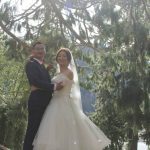 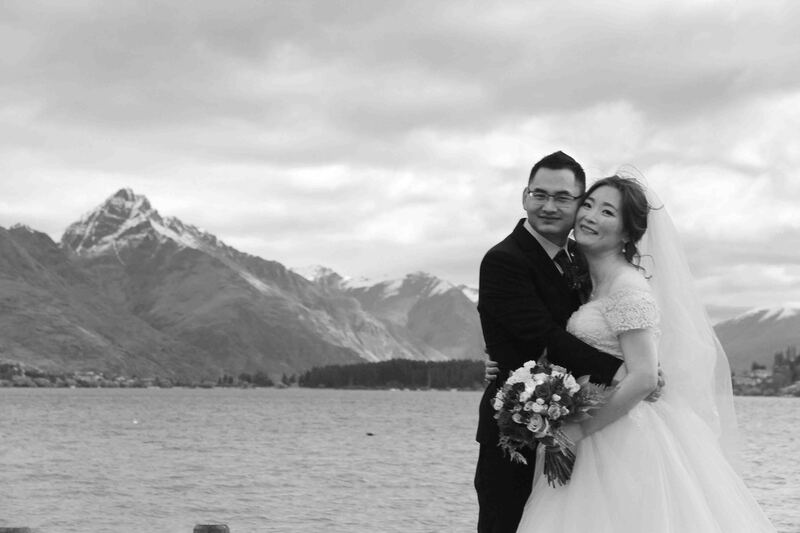 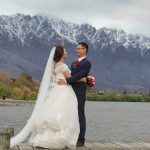 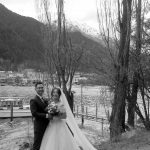 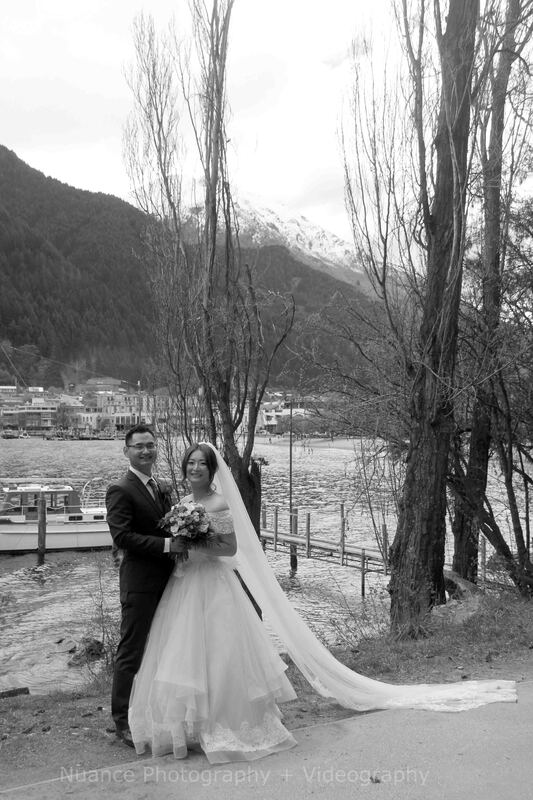 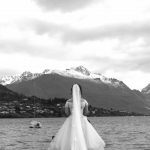 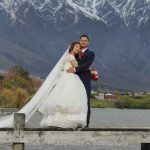 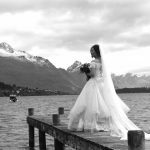 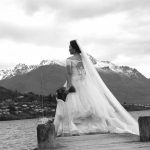 Eloping in Queenstown New Zealand? 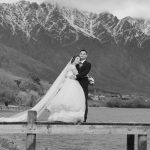 Are you thinking of eloping in New Zealand? 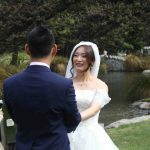 Sure you are, who wouldn’t? 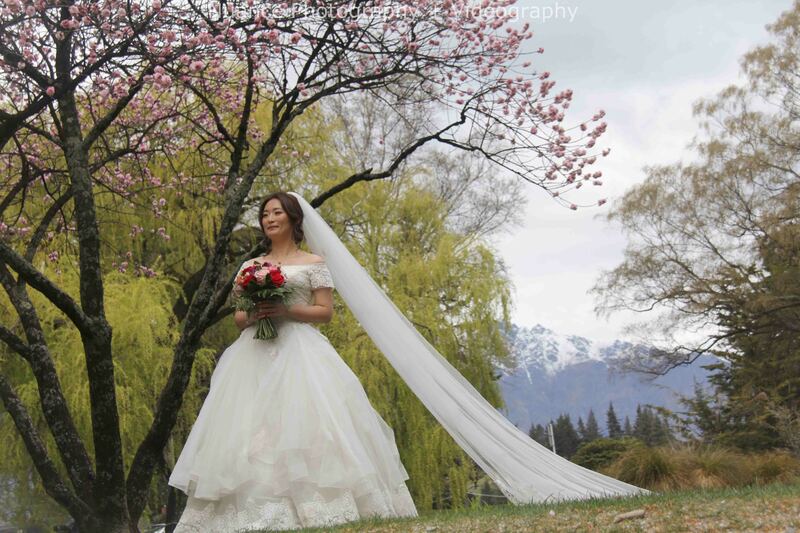 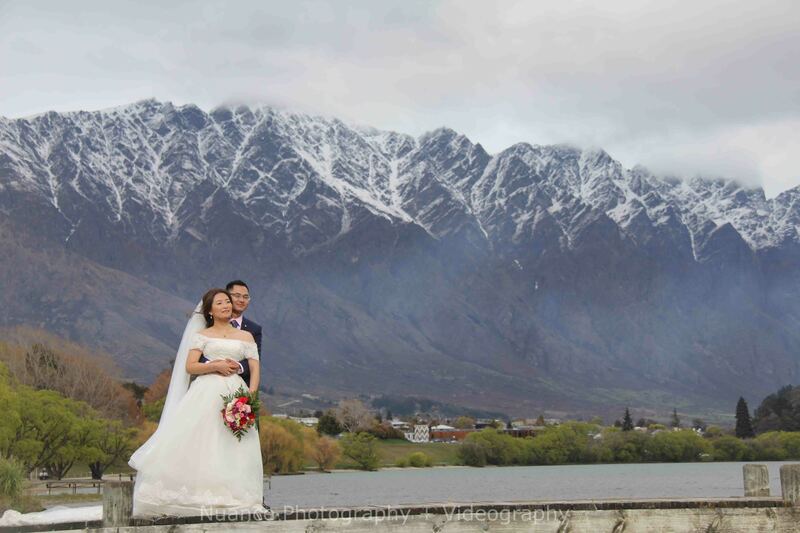 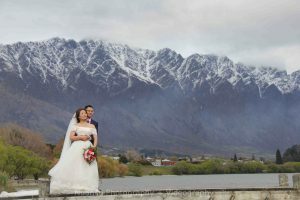 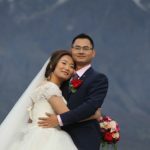 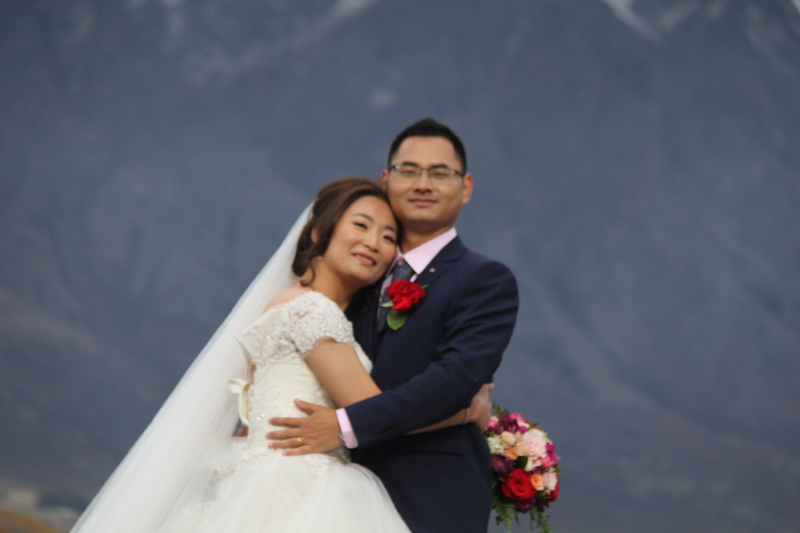 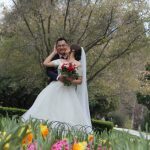 With the scope for amazing wedding images in all seasons, Queenstown offers something or everyone no matter the budget. 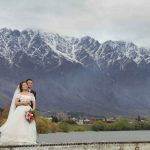 Queenstown – The complete wedding destination that caters for hens and stag parties right through to vineyard or helicopter weddings. 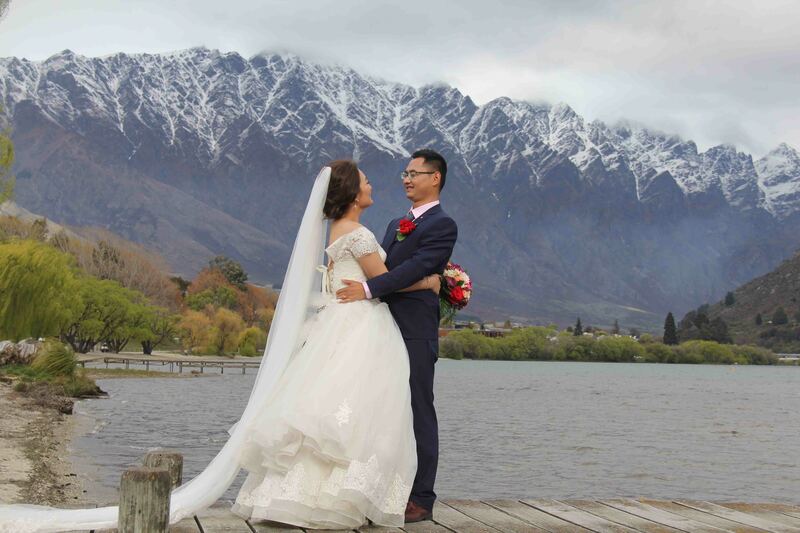 Queenstown claims world class restaurants, gondola rides and bungy jumping for the brave. 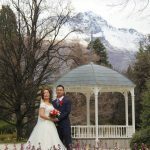 Queenstown has it all. 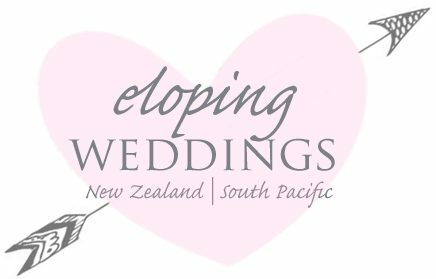 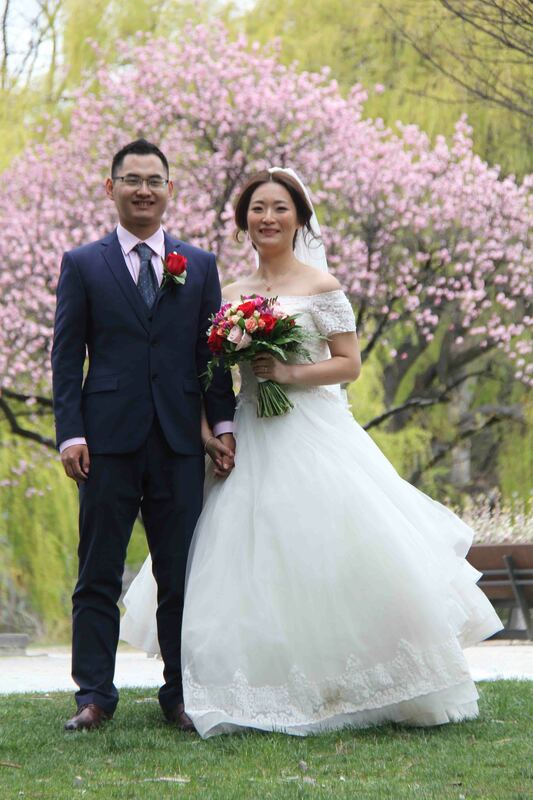 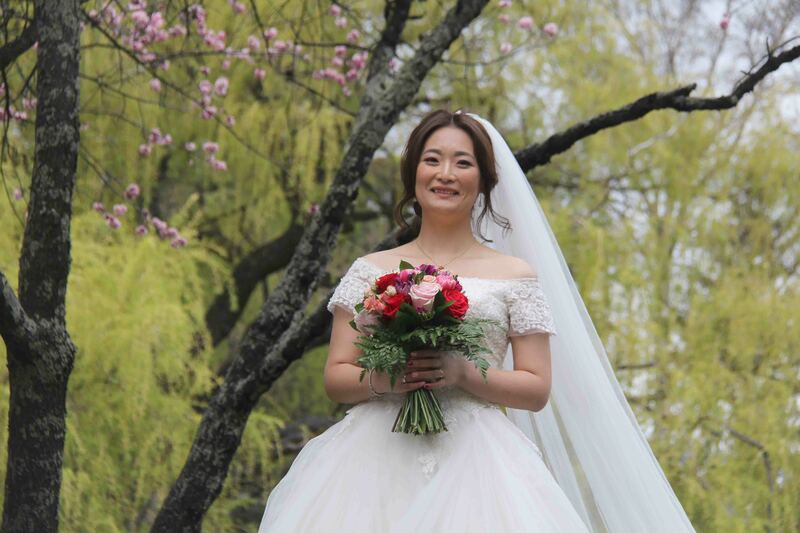 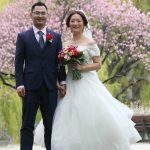 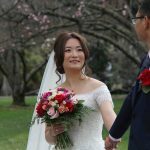 We specialise in eloping weddings with very comprehensive photo and video packages. 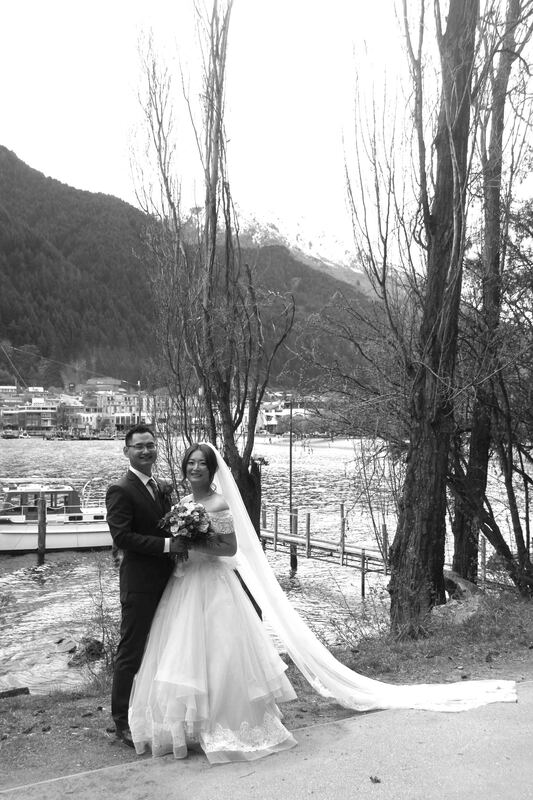 We know all the best venues, location and what looks good at what time of year. Autumn has scattered golden leaves. 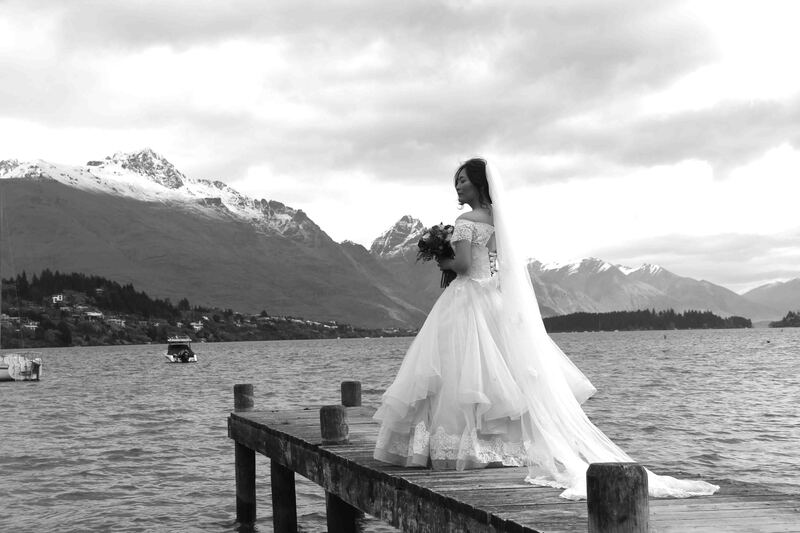 Winter offers breath taking snow capped mountains and summer highlights the deep blue waters of lake Wakatipu. 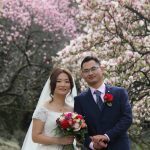 This fabulous wine growing are can sometimes hit 30+ degrees in summer. Whatever the season, Queenstown has it covered when it comes to a complete wedding destination. 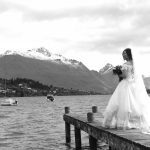 Find out more by reaching out to us now.